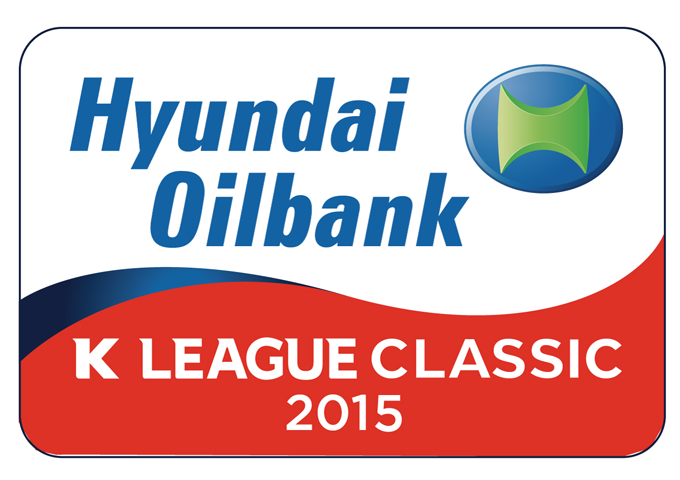 After a mid-Summer break due to the 2015 EAFF East Asian Cup the K League Classic returns with round 24 of the season. The highlight game this round of games is the slight mismatch between leaders Jeonbuk Hyundai and 2nd bottom Busan I’Park. It’s either going to be routine or a banana skin, but either way it should be entertaining. The league table is still close in the middle but gaps have started to appear. Jeonbuk Hyundai are still top and are 10 points clear. Suwon and Jeonnam are just behind them, with FC Seoul, Pohang and Seongnam completing the top half. Incheon, Gwangju and Jeju United are separated by just 1 point in 7th-9th. Then come Ulsan, Busan and finally Daejeon who are 12 points adrift, completing the table. Gwangju seems to be regaining some of their early season form before the break and aren’t far off the top half now. 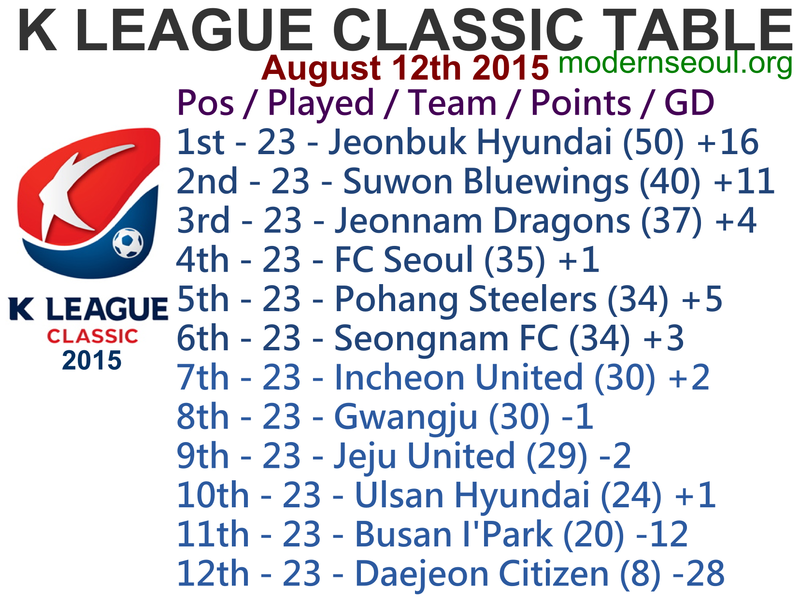 Jeonnam Dragons have been maybe the surprise team of the season, currently up in 3rd place and holding their own. We see this ending in a draw, but it still could go either way. Jeonbuk have a 10 point lead currently, plus an unbeaten run stretching back to the start of June. 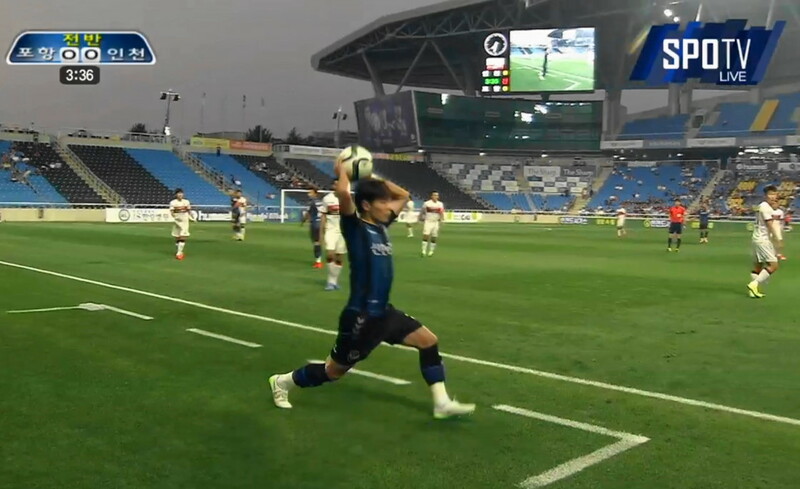 Busan improved before the break and still have Ulsan in their sights. That being said we see Jeonbuk edging this one. 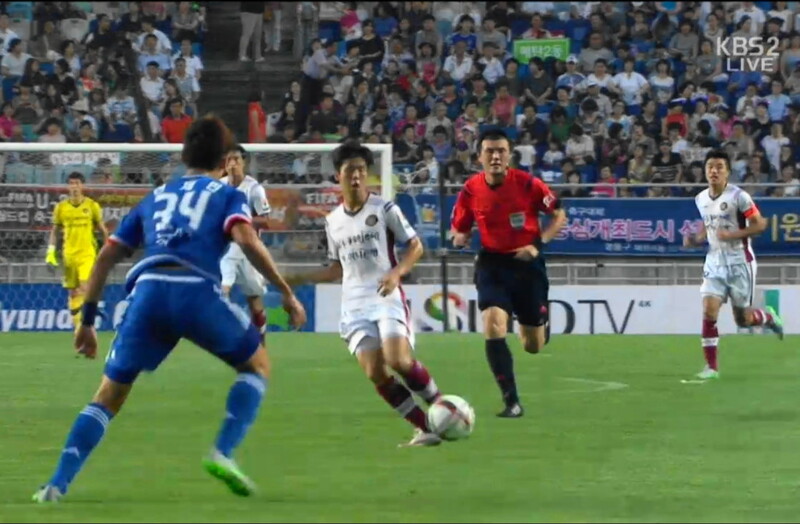 Suwon have only lost recently to leaders Jeonbuk and have looked strong against everyone else. Daejeon are rock bottom and 12 points adrift. They also sold top goalscorer Adriano. Suwon will be heavy favorites. Incheon lost 2 on the bounce before the break but were solid prior to that. Pohang have only 1 win in 5 but are still up in 5th place. We see a close game and most like a draw. Jeju United are on poor form and are weak away from home. Whilst Seongnam are good at home and on solid form. This looks like a home win for Seongnam. Both Ulsan and Seoul have been on pretty good form recently. However Ulsan aren’t down in 10th without any reasons. 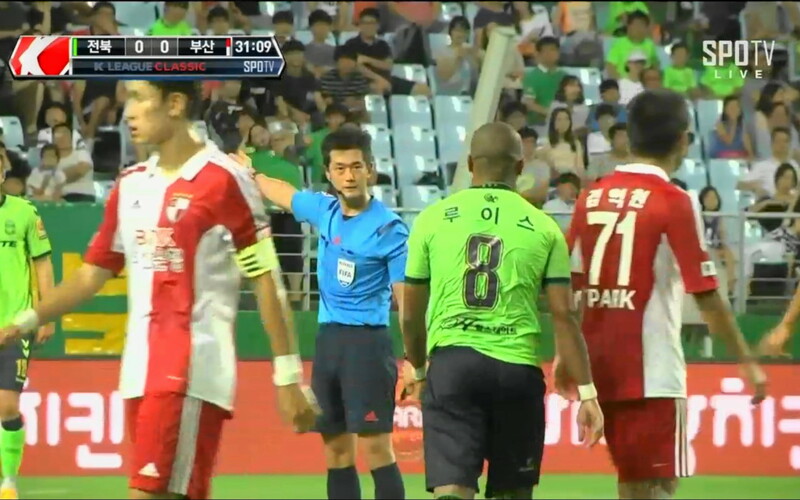 Therefore we’re siding with FC Seoul in this one, narrowly. 4 Correct Results with 2 perfect scores. 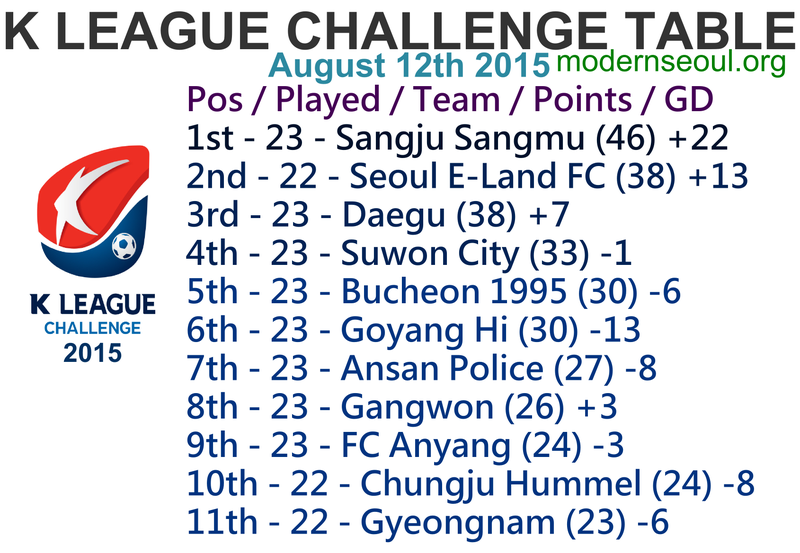 The K League Challenge moves into the 26th round of the 2015 season. The highlight game of the this round of fixtures is the top of the league clash between leaders Sangju Sangmu and 2nd placed Seoul E-Land FC. But sides are lacking a little form at the moment but have shown quality during most of the season, so this should be a great game. The league table has now started to take shape, Sangju Sangmu now have a 8 point lead at the top of the table ahead of Seoul E-Land, Daegu and Suwon who make up the playoff places. Bucheon and Goyang are both only behind them by 3 points. Then come Ansan, Gangwon, Anyang, Chungju and finally bottom club Gyeongnam who all have only 4 points separating them. Predictions Update: All 5 games correct results with 2 perfect scores. Our best ever round of K League Challenge Predictions.